Dr. Peipei Zhou attended Hengyang Health School in Hengyang, Hunan, China and received his Certificate as General Doctor in 1975. He received his Bachelors Degree in Medicine there in 1982 and Masters Degree in Medicine in 1988 from Hunan Medical University. Dr. Zhou completed his Medical Residency at the Second Affiliated Hospital at Hengyang Medical College in Internal Medicine in 1977 and 1985 and completed his Fellowship in Cardiology in 1988 at the First Affiliated Hospital (Hsiang-Ya Hospital) of Hunan Medical University. He also completed a Medical Residency in Internal Medicine at Albany Medical Center in 2000. 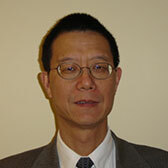 Dr. Zhou is board certified in Internal Medicine. He is on staff of A. O. Fox Memorial Hospital in Oneonta. Dr. Zhou was previously an Assistant Professor in Medicine at Hunan Medical University from 1988 to 1991 and a Lecturer in Medicine at Hengyang Medical College from 1982 to 1985.